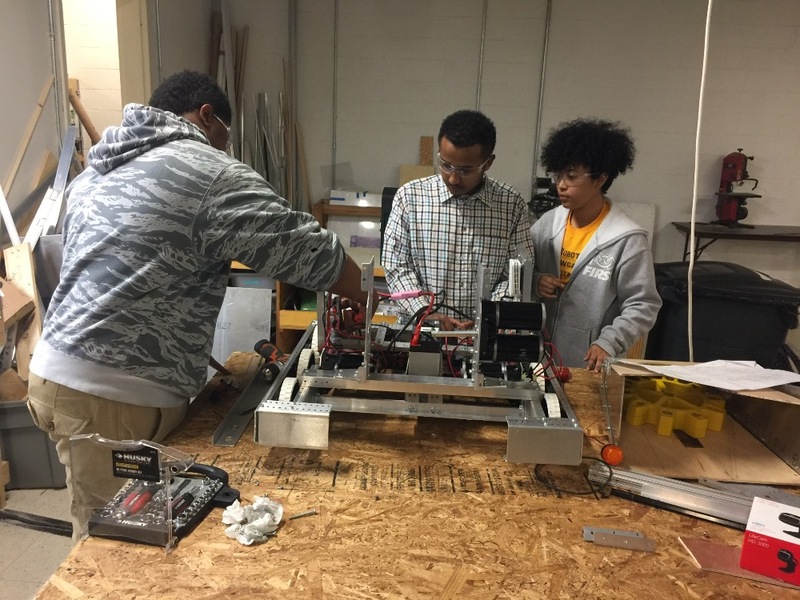 In just its second season of existence, the DISCBOTS robotics came within one victory of competing for the FIRST Robotics championship in Georgia’s Northern Division. The DISCBOTS is a highly-diverse team of 40 DeKalb County School District (DCSD) middle and high school students representing 15 countries and 35 languages across Asia, Africa, the Middle East, and Central and South America. At the divisional championships in Dalton, Ga., the team narrowly lost the third-place tiebreaker in the last 20 seconds of the match. The DISCBOTS team members are participants in the English as a Second Language program through the DeKalb International Student Center. This is the second consecutive year the DISCBOTS came within one match of competing for the championship. However, there is a possibility the team may be able to compete in the state championships being held April 6-8 at the University of Georgia in Athens.